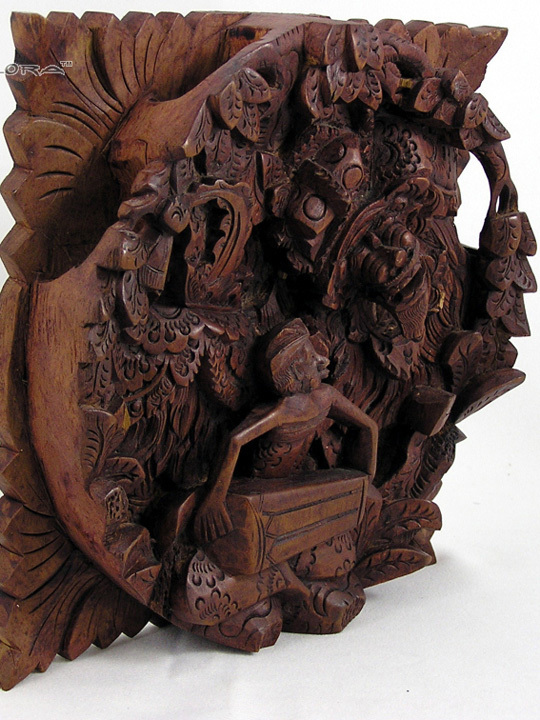 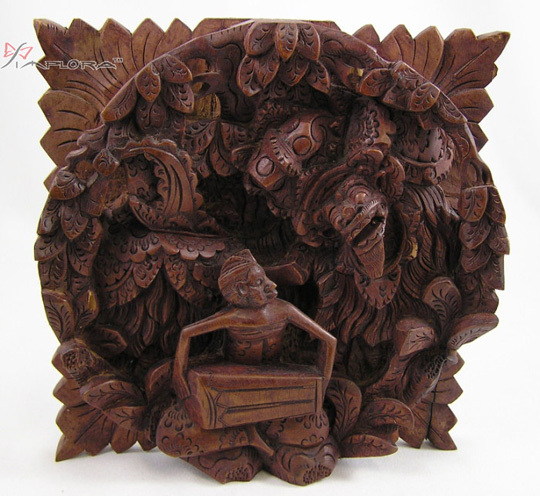 Size: 8"H x 8"W x 2"H.
This beautiful hand-carved wood shows traditional Barong dance scene. 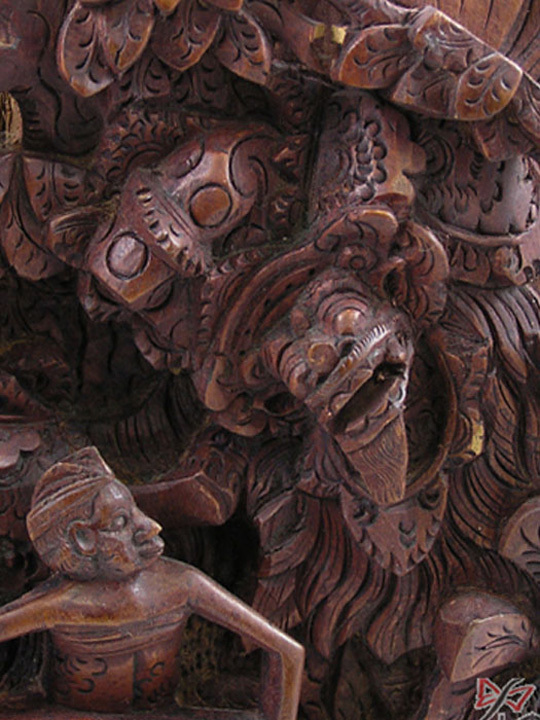 Barong represents the good protector in Balinese. 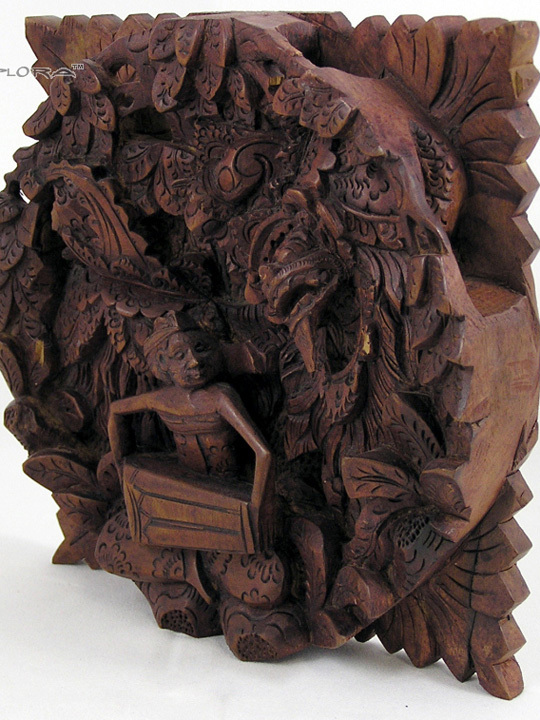 Minor damage on the Barong, tree, and leaf as shown in the pictures.